​For toddlers, transitioning from sleeping in a crib to sleeping in a bed is just one of many milestones. While this may seem like an exciting leap from baby to big kid for you, your toddler may feel differently. A new bed means new rules, new freedoms, new bedtime and naptime routines, and potentially, new fears. 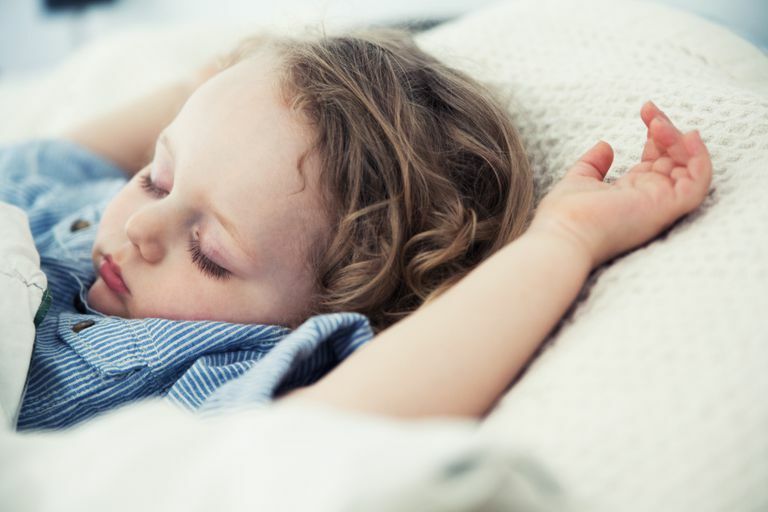 To help navigate a smooth transition to the big kid bed, Lori Strong, certified sleep consultant and owner of Strong Little Sleepers in Austin, TX, has provided her insight and expertise to answer seven common questions about making the switch. When Should We Move Our Toddler to a Big Kid Bed? If a child is comfortable in a crib, there's no reason to move to a big kid bed — just because your child turns 2, or even 3, doesn’t mean it’s time to vacate the crib. In fact, it’s best to wait until your toddler is at least 2 to transition to a big kid bed, but the closer your child is to 3, the better. “You also don’t want to transition to a big kid bed as a reaction. You want it to be planned out,” said Strong. Even if your child climbs out of the crib, you don’t have to move to a bed immediately. How Far in Advance Should We Begin Preparing our Toddler for the Transition? There's no need to spend weeks prepping your toddler for his new sleeping arrangement, but you do need to set expectations before you make the switch. Removing the crib without warning might be traumatic for a child who is not anticipating that the place where he slept for the last two or more years will be suddenly be gone. Strong recommends giving it at least a few days to sink in. "A few days before you transition from crib to bed, have a talk with your child. Say, ‘We’re going to put you in a bed now, and that’s a big deal, but there are some rules we need to follow by being in the bed.'" Tell your toddler exactly what is going to happen. If the crib will be converted, if they will be getting a regular-sized bed or even if you plan to put a mattress on the floor, explain the impending switch to them, so the change won’t come as a surprise. What Else Should We Consider Before Transitioning to a Bed? It might seem as easy as moving a bed in and the crib out, but once the bars are gone, the entire room, for all intents and purposes, becomes the crib. You’ll need to make sure the space is safe, so think through what needs to be toddler-proofed, such as whether there are items that need to be secured to the wall or removed from the room entirely. How Do We Manage the Freedom that Comes with a Big Kid Bed? Strong suggests talking to your toddler about the bedtime routine. “Ask your child, 'When we get in bed, we go through a routine every night, what do we do? We say goodnight, we put the covers on, we lay down, we close our eyes, and we stay in our bed until morning.' Going over those rules every night for awhile is going to be helpful because you’re reinforcing it every time." We Did All That, and My Toddler Still Won't Stay in Bed. Now What? Keep reinforcing the ground rules and the routine — it will get easier. In the meantime, create a physical barrier if your toddler won't stay in bed. Strong recommends using a baby gate in front of the door, which will set a boundary, but also allow the child to be more easily accessible than a lock on the door. Some children will wake up and immediately come to find you. As much as you may love your new wake up call, 5 a.m. is early. Try using a special toddler clock that turns yellow when it's OK to get out of bed. Or, if you don't want to buy a new clock, Strong suggests using a regular digital clock. "Teach your toddler the number 7 or the number 6, then cover up the last two digits, so you just have the first digit showing. They'll see when it's a 6, I can get up." For younger toddlers who aren't ready to start learning numbers, try returning them quietly to their bed until they get the picture that it's not time to be up yet. How Much Will Our Bedtime Routine Change? That depends on how well you've set expectations for bedtime and how willing you are to reinforce those expectations. It can be tempting, when a child is newly in a bed, to stay in their room until they are asleep, but once that expectation is set, it will be hard to change. "The best case scenario is to set up the routine and expectation as soon as you make the switch," said Strong. "Don't go through a period when you’re like, 'I’ll stay in here for a while, then we’ll figure out how to change it later." Bedtime is Under Control, but How Do We Manage Nap Time? Sometimes bedtime isn’t an issue, but when you make the switch to a big kid bed, naps become a struggle. Between the ages of 2 and 3, most kids are only taking one nap, and some are starting to drop that final nap. Even if that’s the case, parents can require their toddler to take some time to rest during the day. "You can’t force a child to nap at this age, but it's important for parents to make sure their child has time during the day to rest their body. Say to the child, 'Your body needs to rest. If you fall asleep that’s great, we’re going to be able to do lots of things in the afternoon like go to the park and ride your bike, and if you don’t get that rest our bodies aren’t going to be able to do those things,'" said Strong. If you use a clock in your toddler's room, set it to go off after an hour, so the toddler knows rest time is limited. If you know your child isn’t going to sleep, try giving them a box of quiet activities they can do in their room or on their bed. Stay away from toys that make a lot of noise, electronics, and TV shows. Those activities are going to be stimulating even if it looks like your toddler is relaxing. Ultimately, like all aspects of the big kid bed transition, successful nap times come down to consistency. If you are continuously offering nap time at the same time every day, your toddler is going to expect it, and in most cases, he will continue to take it. It may take some time, but your toddler will get used to being in a bed. Just make sure that you set up and continue to reinforce expectations about sleeping immediately.